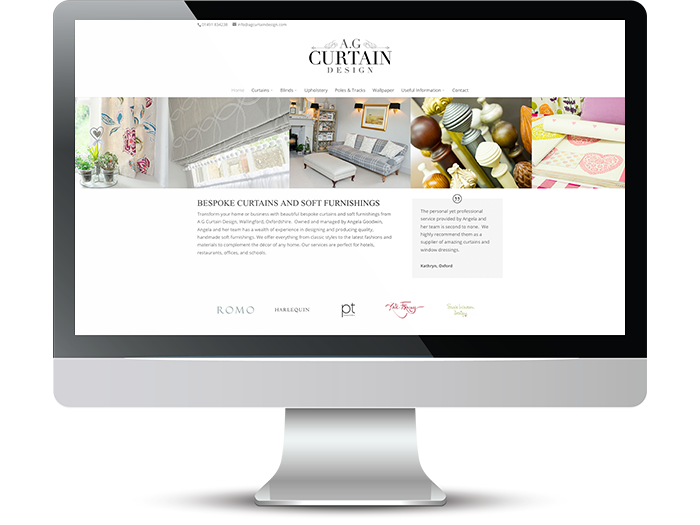 A.G Curtain Design were looking for a fresh new look to their long established business. The first step was to design a new logo which appealed to their target market. They also commissioned photography of their shop and completed products in situe. The website design also incorporated customised online quote forms and the creation of guides for their customers to both view online and download. Additional design work included business cards, promotional leaflets, newsletter templates and business stationery including invoice and quote templates.